One of my family’s favorite recipes also happens to be a quick dinner idea. It seems so simple, yet it’s so good! I haven’t met a soul who doesn’t love this Lawnmower Taco. Years ago FishPapa and I lived in a 200-square foot studio apartment. The studio was actually the guest house of a larger property. Our landlords became our good friends, helping us welcome our first baby and encouraging us both over the years. Whenever I was bored, I’d just walk ten feet over to Karen’s kitchen. Inevitably, she had something yummy cooking. One night she made a casserole that smelled divine. It was a taco chip casserole bake thingy from one of those branded cookbooks. You know, the ones that tell you exactly what brand of chips to buy. I looked at the recipe and gave it a try. We loved it. However, it called for some ingredients, like commercial taco seasoning, sour cream, and chopped green chiles, that were too pricey for our budget. It also had a prep method that lent itself to lumpy gravy. So, I did some tweaking, and then some more tweaking. In the end I landed on a casserole that was significantly different from the original, but cheaper and easier to make. Imagine my surprise when one of my sweet children turned up his nose at my masterpiece. Needless to say, the kid scarfed it down, and a family favorite moniker was born: Lawnmower Taco. I shared this recipe over on Life as Mom years ago, and it continues to be a huge favorite at our house as well as in the homes of readers and friends. I haven’t made it in awhile, so I better get it back in rotation. My kids think I’m the best ever when I make this Lawnmower Taco recipe. 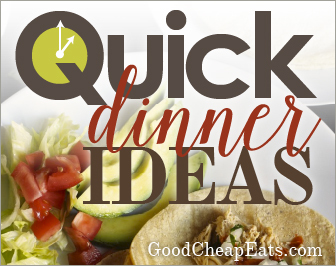 This is an ideal quick dinner idea. It really takes about fifteen minutes to assemble and then another fifteen to bake in the oven. It’s quick, delicious, and warm all the cockles of your heart. Seriously. I haven’t met a soul who doesn’t love it. 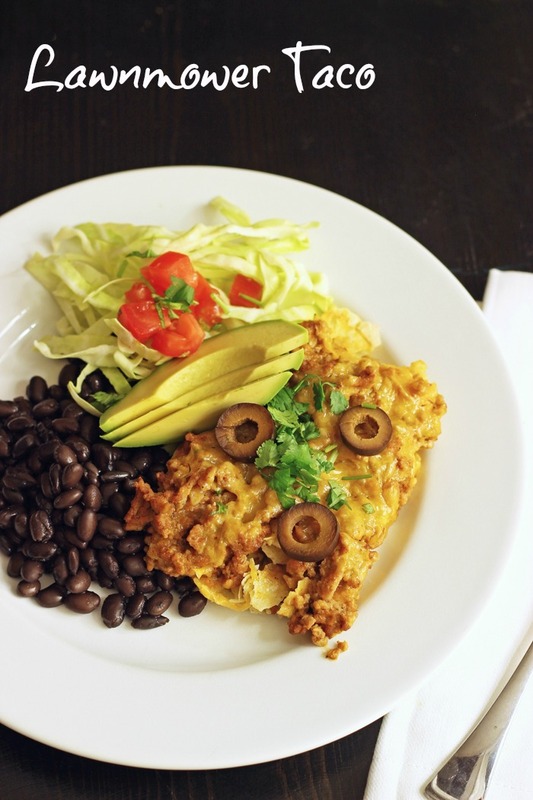 This recipe is in our regular meal rotation at our house. With ten kids, I make two trays of it. It’s so simple to prepare and inexpensive – – – and tasty! Thank you for sharing this recipe! Perfect timing – I have seen this recipe in your book, on your site and meal plans a million times. Last night I prepped it for our dinner tonight. I hope it is a winner! I can attest to how good this is too. I have been making this for quite some time now and it always amazes us just like the first time I made it. And, of course, we call it by it’s “official name” : “Lawnmower Taco”. Ha Ha.